Saturday, September 22, 2007 at Pleasant View Estates. home on the family farm. time as a homemaker and helping with the farm chores and later babysitting. circle meetings. 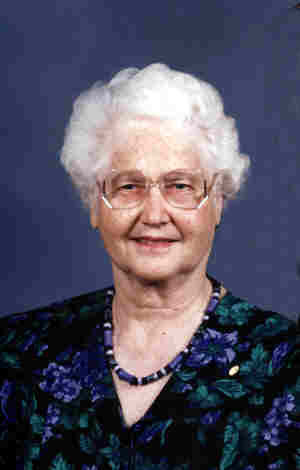 She enjoyed gardening, crocheting, sewing, and quilting. gifts from family and friends. sisters in law, Harriet Hamann and Elva Tripp. and two sisters, Laura Finger, and Verna Haines.